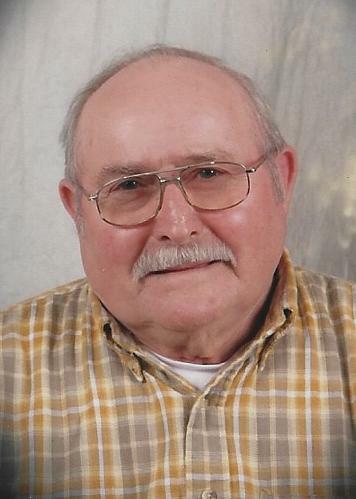 Age 92, of East Sparta, passed away Fri., Jan. 25, 2019. Born in East Sparta, a son of the late Joseph and Virginia (Meyer) Herstine, he had been a life resident of Waynesburg, living the last 15 years in Sandyville. He was a 1945 Graduate of Waynesburg High School, served with the U.S. Army Air Corps, and retired in 1987 from LTV Steel as a Spark Tester. Richard was a member of Trinity Lutheran Church in Magnolia. Preceded in death by one sister and four brothers. Survived by two daughters and one son-in-law, Penny and Tom Soehnlen and Judith Hoover; one sister and brother-in-law, Mayrene and Landel “Boze” Offenberger; two brothers and sisters-in-law, Jim and Rosemary Herstine, and Lynn and Paige Herstine; five grandchildren, Leroy Hoover III, Christy Koch, Todd (Sarah) Hoover, Mary Kate Soehnlen, and Michael Soehnlen; three great grandchildren, Tyler Mehilis, Lucas Delaney and Nevada Koch; and many nieces and nephews whom he loved deeply. Services will be held Tues. at 11 a.m. in Trinity Evangelical Lutheran Church in Magnolia with Pastor Andrew Riggs officiating. Interment in Greenlawn Cemetery. Friends may call Mon. from 5-8 p.m. in the Finefrock-Gordon Funeral Home in Magnolia and Tues. from 10-11 a.m. in the church. In lieu of flowers contributions in Richard’s memory may be made to: Trinity Evangelical Lutheran Church, PO Box 464, Magnolia, OH 44643. Condolences may be left at: www.gordonfuneralhomes.com.